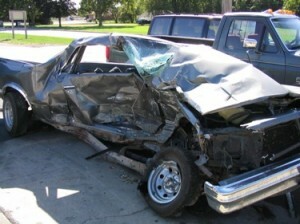 Auto Accidents « Carter Cromwell Law Firm, P.C. Negligent Driving – Multi-million dollar settlement for a man that was hit by a speeding SUV while changing a tire on the side of a road. He sustained serious life threatening injuries including a traumatic brain injury. The case was settled prior to filing a lawsuit. (2005). Hogan v. Phillips, Chatham County Superior Court $4 million verdict obtained for a permanently disabled police officer who suffered a broken neck after being run off the road by a fleeing suspect.